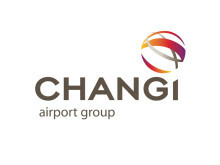 SINGAPORE, 25 May 2018 – Singapore Changi Airport handled 5.43 million passenger movements in April, a 5.1% year-on-year increase. Aircraft movements were 4.6% higher at 31,990 landings and takeoffs, while cargo shipments grew 4.5% to 179,410 tonnes, compared to the same period last year. In April, South Asia, underpinned by India (+18%) and Sri Lanka (+24%) traffic, registered strong growth. Among Changi’s top ten country markets, China (+11%), Vietnam (+10%) and Japan (+7%) also registered good growth. Passenger traffic to and from Europe increased by 13%, boosted by travel on new services to London and Munich. 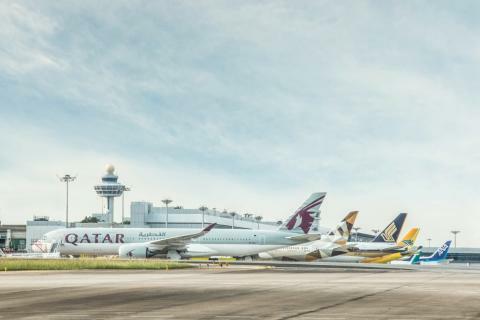 As at 1 May 2018, more than 100 airlines operate at Changi Airport, connecting Singapore to some 400 cities in about 100 countries and territories worldwide. With more than 7,200 weekly scheduled flights, an aircraft takes off or lands at Changi roughly once every 80 seconds. New Services – Singapore Airlines strengthened its connectivity to Australia, increasing the frequency of its Sydney service from 33 to 35 times a week, and its Canberra service from thrice-weekly to daily. The airline also added an additional service to Ahmadabad, India, bringing the total to 5x weekly. New Restaurants & Stores – In the public areas, local specialty coffee company Jewel Coffee has opened its first Changi Airport outlet in Terminal 1 (T1) Level 1, serving roasted single origin espressos. Beauty and wellness spa Kimiyo-G & EC House, also new to Changi, offers beauty and hair services at Terminal 3’s (T3) Basement 2 (B2). Guardian has opened its second landside outlet, at T3 B2. In the transit areas, Adidas Originals has opened its second Changi outlet in T3, following its first store in T1. Four new outlets have made their debut across T1 to T3’s transit areas. Two Japanese food outlets, Niiagata Bento (T1) and Tanuki Raw Express (T3), serve up bento sets and modern Japanese meals respectively. Traditional Teochew bakery Thye Moh Chan offers handcrafted pastries and baked goods at Terminal 2 (T2), while American fashion and lifestyle brand Tommy Hilfiger has opened in T3.